Retractable ballpoint pen is made using corn starch-based Bio-Plastic that leaves no chemical residue in commercial composting facilities. Bio-based, biodegradable barrel reduces the use of petroleum as well as producing less waste than traditional pens. 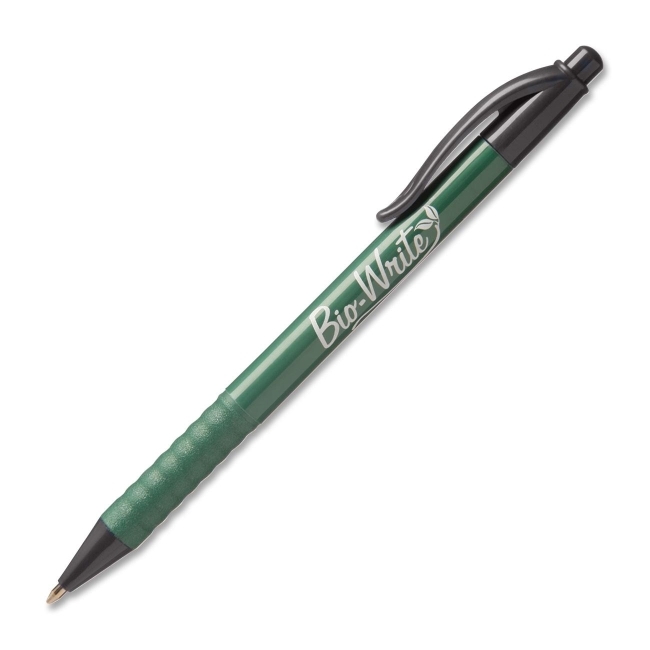 Ballpoint pen is certified by the Biodegradable Products Institute and meets ASTM D6400-99 Standards. Accent color identifies the color of ink. Pen is refillable.